Just pick a song, cut it by dragging a pair of sliders, and then you get your ringtone. 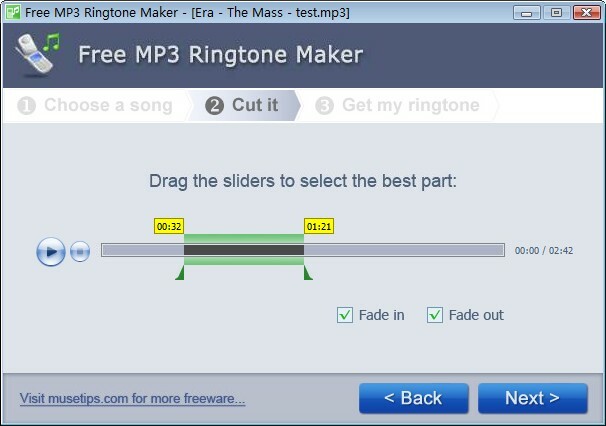 You can also add some fade-in and fade-out effects to the ringtone. a software workstation for multimedia editing, recording and broadcasting. Sound Normalizer improves volume of Mp3, Mp4, FLAC, Ogg, APE, AAC, Wav files.